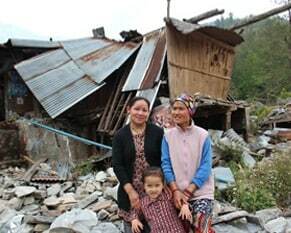 The disastrous earthquake in spring 2015 in Nepal has ruined more than 90% of all homes in the Helambu region, mainly populated by Tibetans. This population has so far not been able to profit from international aid and were left to look for themselves. The little support they received was all due to private initiatives. It is very often extremely difficult for young Tibetans to find a job which would allow them to live an independent live or even start a family. With this project we would like to help young Tibetans to build up a chain of Coffee Shops in e.g. Delhi or other cities elsewhere. About 8000 children aged between 5 and 15 years live in the 8 tibetan children villages in India. These villages have entered -amongst others – a partnership with the SOS – Kinderdoerfer. The children living there came either without their parents from Tibet or their parents or families are financially unable to care for them. Their nutritional status could be markedly improved if we would be able to provide each of these villages with a few cows and organise their necessary upkeep. Estimated costs: approx Swiss Francs 200’000. Donations to Snowland Children Foundation: please mention «Dhasa Cow’s Project. This Institute, located in the town of Dharamsala, where HH the Dalai Lama is having his domicile in exile, tries to conserve the old Tibetan craftmanships. The Norbulingka Institute is educating young Tibetan artists, runs a library and provides social services for the local population. With it’s activities, it tries to keep young Tibetans in Dharmasala while – at the same time – giving them sustainable perspectives for their lifes. The LHA offers newly arrived Tibetan refugees a broad support. The same support is also offered to other people from the Indian State of Himal Pradesh, who live in socially poor conditions. This help starts with e.g. language courses but offers also courses like computer sciences or a multitude of other educational courses. 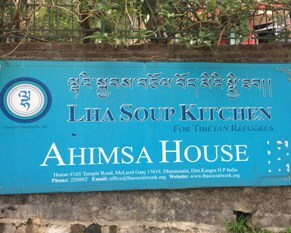 Likewise, the LHA maintains a soup kitchen, where every day up to 50 needy people receive a warm, vegetarian lunch. Prepared daily with fresh, local products, these meals are nutritionally well balanced.